Administrators: update own name and timezone, view and change account information, change own password. Trainers: update own name and timezone, change own password. Administrators and trainers are able to update the name and timezone details. 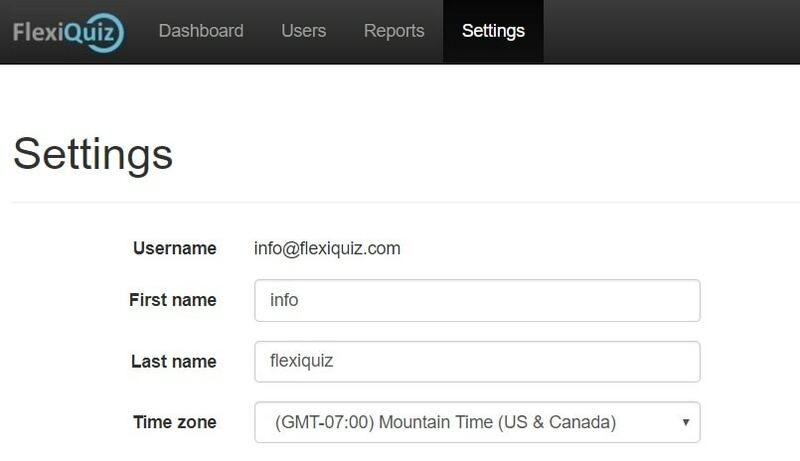 The name details are added to emails when sending quiz invites to other users, this is so that they know where the email originated. The timezone is used to adjust the date and time on reports. Only administrators are able to view plan details. If you are on the Free plan you will have the option to upgrade. If you are on a paid plan the you will be shown the price and frequency and have the option to cancel your paid subscription. All user types are shown an the option to update the password they use. For this you just have to enter your current password, new password and then new password again.